Hey there, fellow beta testers! Well, as you may have heard, the Beta Test is ending this Sunday for most of us. The past few months of testing have been filled to the brim with memories, I'm sure, and I want to give all of us and other players down the road something to remember! So, this Sunday, from 3-4 PM (EST), starting at Avant Gardens, I'll be battling some Darklings, capturing footage to be revealed on YouTube at a later date! I would be truly honored if a few of you could come in and join in the final fight before launch - and anyone who responds here with their minifig name and attends the event will be included in the video credits! I might be able to do that. Until my LU loads. I'll try to be there!! That would be awesome. You're shooting it? Please send me a FR at 3-4 OK? I think it will not be for me. Seemefly wrote: I'll try to be there!! That would be awesome. Sim533 wrote: I think it will not be for me. Well, I've got another vid with you in it that we took earlier, and you're in those credits. You're also in the Club Station vid. Can I be in the club station vid? Tithe wrote: Can I be in the club station vid? It was already taken, about two months ago. Hey, I may come if I'm there. Hopefully. I forgot I have something I have to do from 3-4 PM. So... that's not going to work out. well actually tonight would work for me 110% better than Sunday. I have three minifigs--tell me who you want! AJR7- Paradox Space Maurader (my Pod 7 pilot, I'll keep him dressed in his "normal" outfit so he's recognizable). CaptainFlipz-No faction yet, I haven't even taken him off the Venture Explorer yet. 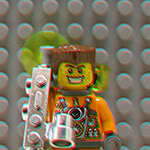 LegoFan101 wrote: Hey there, fellow beta testers! We should have a parade up the monument!! Good idea MsRR! We could go on NS and stop by the Concert to play music? BTW, my name in-game will be Hop, rank 3 Assembly Summoner! Place: Starting off by fighting some darklings, parading up the monument, heading to Nimbus to rock out at a concert, and further, if any more ideas develop. How It'll Work: We'll film each event in almost its entirety. The different shots will me edited and meshed together to form a massive, multi-event video which will be posted on YouTube at a later date (possibly before October 12) and of course, the link will be shared here. Try not to add me! I would normally accept all requests, but the video shoot needs to be as interruption free as possible, and we need to keep moving with as little distractions as possible. Not to mention a wipe is only one day away. If you tell me your minifig name, I'll add you at launch. Can anyone tell me what time 6-7 EST will be converted to GMT +13? -CrimsoN- wrote: Can anyone tell me what time 6-7 EST will be converted to GMT +13? Then you need to add 18 hours to know when it will be the time in your timezone. When is that for British Summer Time? Midnight? Ok thanks DK I better move my minifig to AG. EDIT: Wait. Is this 6-7 AM or PM? Because if it is AM, then I will be able to do it. If it is PM then it will be Monday here. I do stuffz on mundayz. I'm at AG! Anyone coming soon? I will be on LU today anyway. Haven't been on for ages. EDIT: How do you guys go on LU and post on here at the same time. Because for some reason I can't have LU and my browser open at the same time. Nope, LegoFan101 is not there. And, me and Roddy15 can't see each other. Meet me at Avant Gardens in 30 mins. I think we will have a problem of where nobody can see each other. Well, I have to leave now, but there is nothign that have happen so far. Me and Roddy15 were able to see each other, but LegoFan101 wasn't there! So, you didn't mist it yet. Hopefully, it will be rescheduled at a similar time tomorrow, before closing. Yeah, I sould be able to come tomorrow, just not too late. So now the Europeans lose out because over half of us would be allowed up at 12 midnight. Holidays just started here, so it doesn't bother me what time it is. I'm thinking about starting at 4/5 PM (EST). It will be not for me again. I'm sorry. If it start at 4:00 PM it's fine for me. EDIT: Finaly, I'm leaving at 3:00 to my grand father. I'll see if I can leave earlier. Does it start at 4 or at 5? I can't be up at midnight so I'm recording my own videos. I'm on now, I'll come join you! Avant Gardens, right? Ugh... It's looking like we're gonna have to postpone things a bit more. We'll make it back before 7:59, but probably only enough to play 45 minutes or less. I'm getting on right now, and heading to Avant Gardens, for about... ten minutes. If anyone wants to meet up... I suppose we can do a bit now. EDIT: Nevermind... Gotta go! Be back before closing, real soon! LegoFan101 wrote: Ugh... It's looking like we're gonna have to postpone things a bit more. Send me an FR and/or message my character (AJR7) when you're ready to start. I'll be in either GF or FV until then.